Soil moisture as of August 31 was lower than average for many parts of the Prairies. Red areas are the lowest, followed by orange and yellow.) 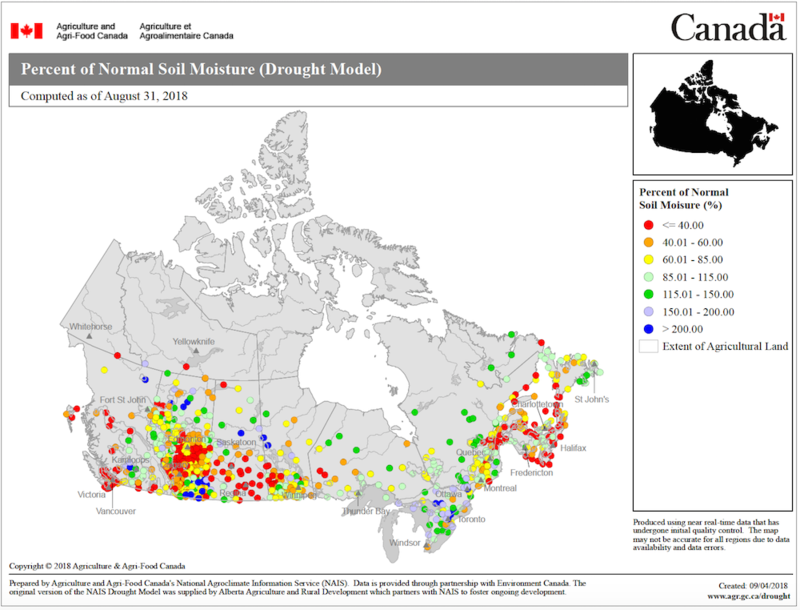 The situation may have improved somewhat with rains in some areas over the past week, but dry soil conditions do present some management considerations – especially for erosion, herbicide carryover and fall fertilizer plans. The map came from AAFC’s Agroclimate map maker tool. Go to “National” region and “Palmer Drought Index”.